This homemade costume for kids entered our 2017 Halloween Costume Contest. My daughter's are wearing these costumes. 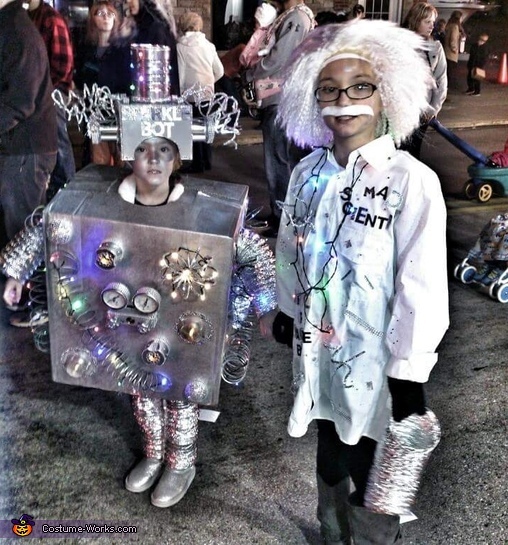 One is Sparkle Bot and the Mad Scientist.